Civil War Political Movie Night! It won two Oscars. Directed by Steven Spielberg. Based on Team of Rivals by Doris K. Goodwin. Daniel-Day Lewis portrayed Lincoln. A Civil War political movie just doesn’t get any better than this one! 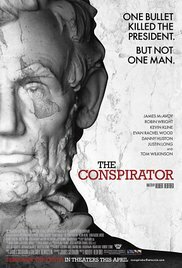 Focusing on Lincoln’s battle in 1865 to secure the passing of the 13th Amendment in Congress, this film brilliantly delves into the political conflicts, dilemmas, and “shady-deals” that were enacted to ensure the success of a very important piece of legislation. William Seward, Preston Blair, Ulysses Grant, Mary Lincoln, Robert Lincoln, Thaddeus Stevens, John Hay, Abraham Lincoln (of course),and other historical characters are portrayed in this drama. My favorite thing about Lincoln is that it shows the sixteenth president as a politician with very human struggles. Too often, we mythicize Lincoln or think of him as a marble giant; he wasn’t. 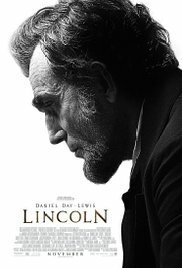 This movie takes a stressful and yet incredibly important time in Lincoln’s administration and shows how he reacted…the good, bad, and questionable leadership moments. The struggles and the successes are what made him the legend and leader; this film shows that with great tact and talent. Directed by Ron Maxwell, this film is a unique perspective on the Civil War. Like its name suggests, the movie reveals the struggles of a northern Democrat man who opposes the war for political reasons and the conflicts that ensue with his family and neighbors. Scenes highlight the political opinions and atmosphere in a small community, voting on election day, election celebrations, and violence prompted by political stances. While the film lacks the some of high-drama and conflict of other Civil War films, it makes a positive contribution by showing the divisiveness occurring in Northern communities. A new perspective presenting much for history buffs to consider. I like this film for its unique view on the war and its highlight of homefront conflicts in the North. Director Robert Redford created an award-winning film to tell the story of Mrs. Surratt who owned the boarding house where John Wilkes Booth stayed and plotted Lincoln’s assassination. From the night of the crime through imprisonment and trial by military tribune (even though she was a civilian), Mary Surratt and her civilian lawyer faced overwhelming odds and battled for the truth and justice. This entry was posted in Civil War in Pop Culture, Emerging Civil War and tagged 1860s-politics, Civil War movies. Bookmark the permalink. 4 Responses to Civil War Political Movie Night! I hadn’t heard of Copperhead–thanks for the recommendation! It looks really interesting. (And I live in Upstate NY now where most people still don’t much like politicians). All three of these are outstanding! Excellent recommendations. Of course, with Hallowe’en just around the corner, there is Abe Lincoln: Vampire Hunter . . . 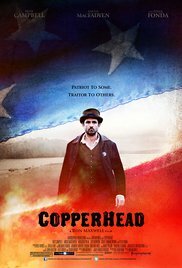 I haven’t seen Copperhead, but I can definitely give a thumbs up to the other two movies. Abraham Lincoln:Vampire Hunter the book was phenomenal, the movie was fun but not what the book was. I know that in this circle it gets a lot of grief, but I can watch Gettysburg over and over.